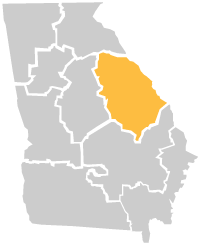 The Classic South region is located in east central Georgia, less than 2 hours from Atlanta. Here, the gentle hills of Georgia's piedmont meet the beginnings of the coastal plain, creating a backdrop of natural beauty that accentuates the region's history and heritage. We're sorry! There are no segments with the requested region name.